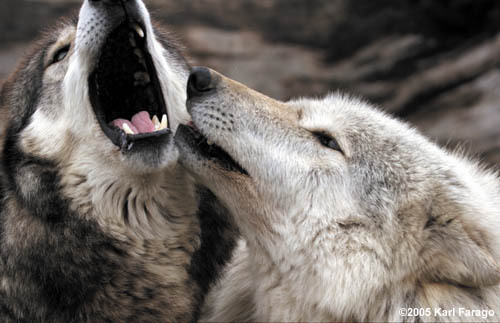 Wolf communication can be postural or olfactory, but it's the mournful howl of the wolf that stirs our senses most. It can be heard as far away as 5 to 10 miles, and members "talk" to each other in this manner to assemble the pack, pass the alarm, and locate one another if separated. And sometimes it appears they do it just for the joy of hearing their own song.